In times of economic uncertainty and political instability, healthcare costs and claims tend to increase as a direct consequence. That applies particularly with regard to mental health disorders such as anxiety and depression. And studies show that there is a co-dependency between mental and physical health. 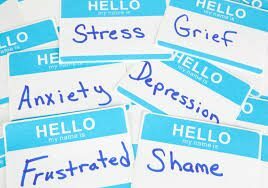 In addition, recent studies show that over 17 million people in South Africa are dealing with anxiety disorders. And these include panic attacks, post-traumatic stress disorder and mood disorders. Importantly, statistics from a global study presented at a recent mental health summit in Johannesburg revealed that mental disorders have increased by 22.7%. In South Africa, around 30% of people report life-long psychiatric disorders. And 1 in 3 will have a mental illness in their lifetime. According to The World Health Organisation (WHO), mental health disorders cover a broad range of problems with different symptoms. In sum, they generally display some combination of abnormal thoughts, emotions and behaviour. Examples include schizophrenia, depression, intellectual disabilities and disorders due to drug abuse. It says, therefore, that mental health is the centre of all health. Significantly, it involves integral relationships with a person’s physical, social and financial wellbeing. Fortunately, there is good news: doctors can treat most of these disorders successfully. Importantly, according to WHO, mental health care is indispensable within a holistic integrated care model. And that is because inadequate mental health care leads to poor mental health outcomes. And it also leads to co-morbid chronic illnesses such as diabetes and HIV. For over a century, the bulk of mental health care delivery in South Africa has historically been separate from general health care. Over time it has relied heavily on psychiatric hospitals with little attention to mental health care in the primary setting. Also, there are inadequate numbers of specialised health care workers to serve the population. That leads to poor access to quality mental health care of good quality and ultimately, complications and costly hospitalisations. This year, Gerhard van Emmenis, Principal Officer of Bonitas Medical Fund, said: ‘Mental health admissions are the third highest admission category in terms of hospital costs. ‘You can’t separate mental health from other health issues,’ says Van Emmenis. ‘The presence of mental illness increases the risk of disability and premature mortality from other diseases. This is due to a number of factors. These include side effects of medication, unhealthy behaviours such as diminished physical activity and substance abuse. It also involves neglect of the patient’s physical health – by patients themselves, their families and their healthcare providers. Conversely, chronic illness like diabetes is increasingly recognised as a risk factor for the development of mental illness. Especially relevant is the new Mental Health Programme, which aims to change the way mental health care is accessed. The model is informed by local and international clinical research, spearheaded by the WHO. Parallel to health care provider upskilling it uses specialised mental health managed care interventions to promote effective self-care by members suffering from moderate to severe mental illness. The significant benefit-to-cost ratio for absenteeism and presenteeism offset against primary screening costs in the workplace. By integrating mental health care gradually into a person-centred (as opposed to disease-centred) primary care model, early screening and comprehensive management for those at risk for mental illness can occur. And vice versa for those with mental illness who are at risk of developing other chronic illnesses and complications. Significantly, for many sufferers of mental illness who do present for care, the family practitioner is the first port of call, ideally at the coalface of primary care delivery to promote the integration of care. Fortunately, the Bonitas Mental Health Programme is built around the principle of offering support to family practitioners and members in order to promote delivery and access to good quality primary mental health care. Accessing community support groups achieve this end. Additionally, upskilling and supporting the GP is essential in the form of training, treatment guidelines, referrals, simple diagnostic and screening guidance. And that includes specialist support with telephone and electronic case review by psychiatrists and access to specialist advice on difficult cases. Also, members have access to a care manager who will monitor them as well as the Electronic Health Record (EHR) offering a platform for multi-directional information sharing. Thereofre, mental illness has direct consequences on behaviour, including help-seeking, self-care and treatment compliance. While patient activation and empowerment are becoming an important focus area in the management of other chronic diseases, this may be a particularly difficult achievement in the patient with a mental disorder. Finally, the programme also offers educational material aimed at family members supporting sufferers of mental illness, drug-and-alcohol abuse and dementia.This includes hosting electronic forums for community support groups via the Care Manager.